The Free Word Centre is the only international centre for literature, literacy and free expression. In collaboration with the Culture Institute at King’s College London they held a Multilingual Creativity Lab, looking at creative approaches to engaging with and promoting multilingual skills. Free Word invited me to speak at one of their events in the Multilingual Creativity Series: ‘Print and multimedia texts’. It was a wonderful afternoon sharing experiences, resources and creative ideas about how print and multimedia texts (including oral) can be used to support multilingual creativity. We met in the grand space of the Anatomy Museum at King’s College London. 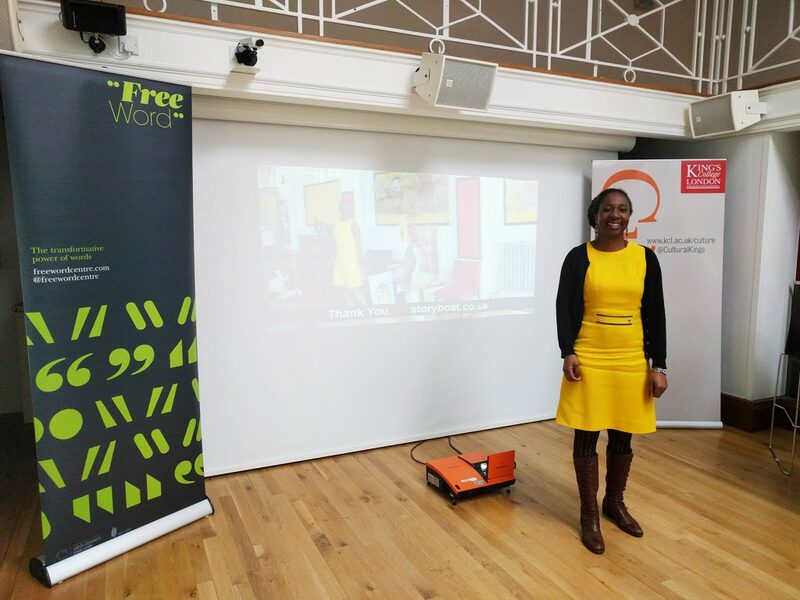 Sophie Wardell from Free Word had found out about me from my storytelling workshops with the Southbank Centre for the Imagine Festival. She was interested in the audio book we created and the creative methods I use when storytelling with multilingual children. 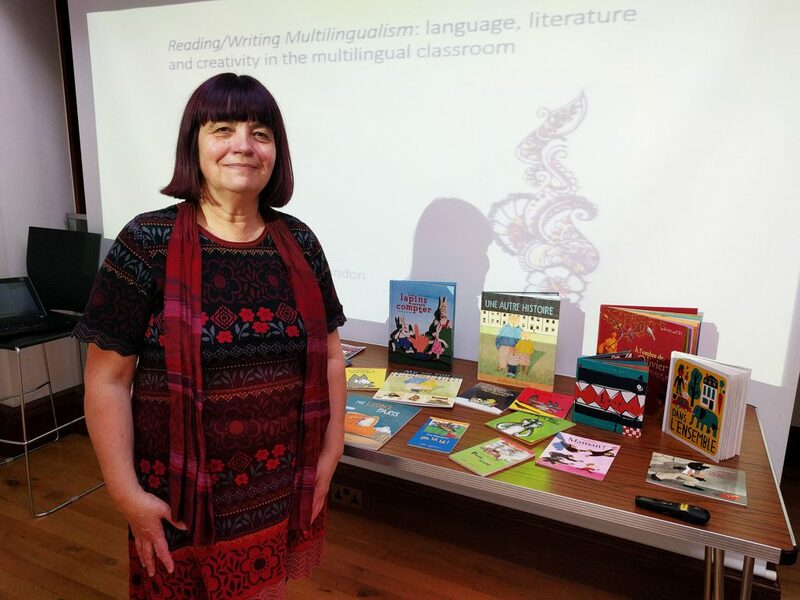 Rachel Gilmore, Senior Lecture in the English Department at Queen Mary University of London shared her ideas and a case study from one of her projects with multilingual students. 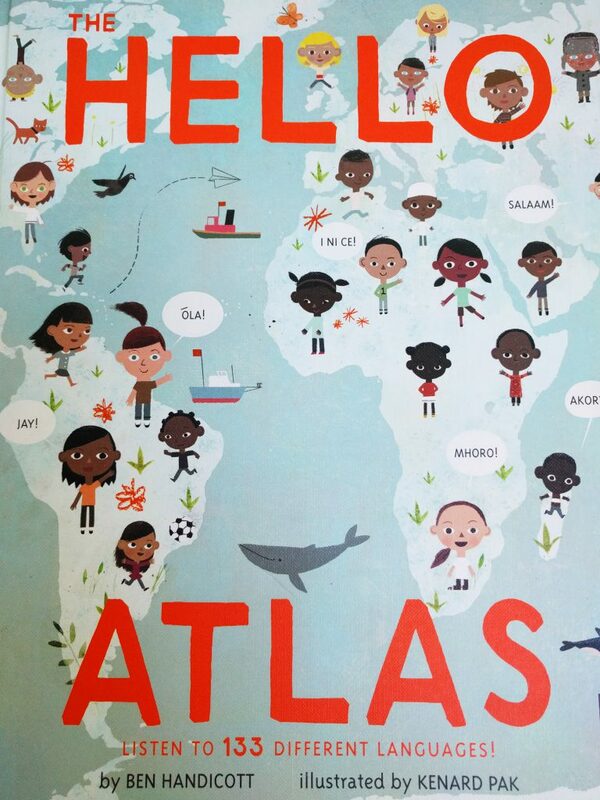 Rachel Williams, publisher from Wide Eyed Editions, gave us a sneak peak preview at their new children’s book ‘Hello World’ – a beautifully illustrated book with an accompanying digital app, showing over 100 children greeting us in their own language. My presentation focused on the creative methods I use to get children involved when I’m storytelling. 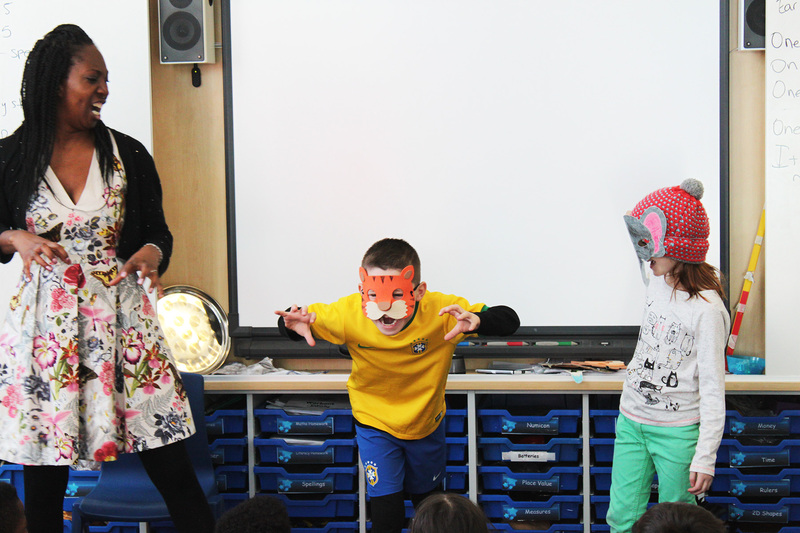 Sound effects, instruments, masks, mime, drama and a few props are often in my large Mary Poppins bag to weave into my storytelling workshops. Children gravitate to what makes them feel comfortable and the creative elements enable them to join in, regardless of their language skills, age or physical abilities. One common thread throughout the afternoon, was how we experienced children using their languages in different ways when communicating with each other. They share knowledge, slip in and out of languages, teach each other, mix and fuse languages together in a seamless way without a hint of self-consciousness. It’s natural and creative and wonderfully diverse. The Multilingual Creativity Initiative is a collaboration between a number of partner organisations running projects and conducting research into what happens when people use more than one language at once in a creative project. During the afternoon, we had an engaging workshop around what more could be done with other organisations, which enabled me to meet teachers, translators, curators, publishers, to name a few. It was a really inspiring event and I’m looking forward to attending the next event in the series Multilingual Creativity Speed Dating – a networking evening with people from schools, universities, museums, libraries, publishers and arts, cultural and community organisations also interested in this area. Come along if you can, it’s on Wednesday 25th May at 6pm in the Free Word Lecture Theatre.